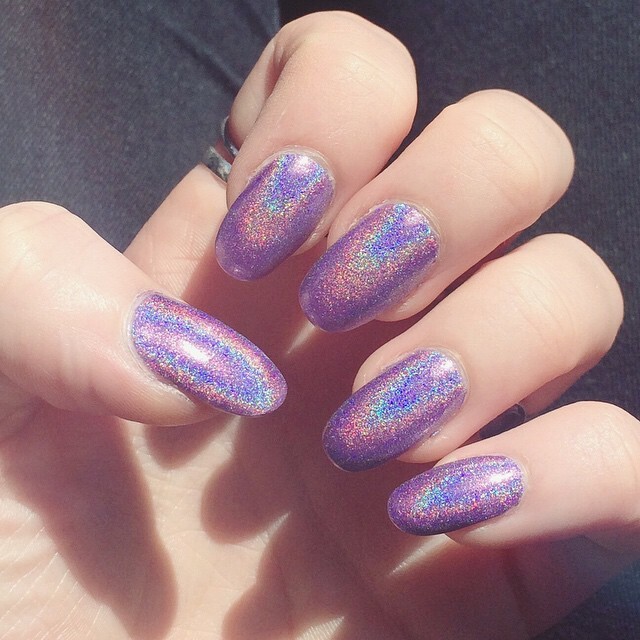 I had my nails done properly before I came to America and picked this gorgeous, purple holographic shade in an Essie bottle marked 'Cascade Cool'. I took a note of the name because this was a polish I needed in my life, seriously, my life is not complete without it. When I got home I excitedly went to search for the name so I could buy a bottle for myself, only to discover that 'Cascade Cool' by Essie is actually just a regular pink shade...So now I'm just a bit confused. Nevertheless I had to share these photos with you all, because it's just so darn pretty. In the sunshine, the rainbow of colours just set alight, the camera does not do it any justice, trust me. 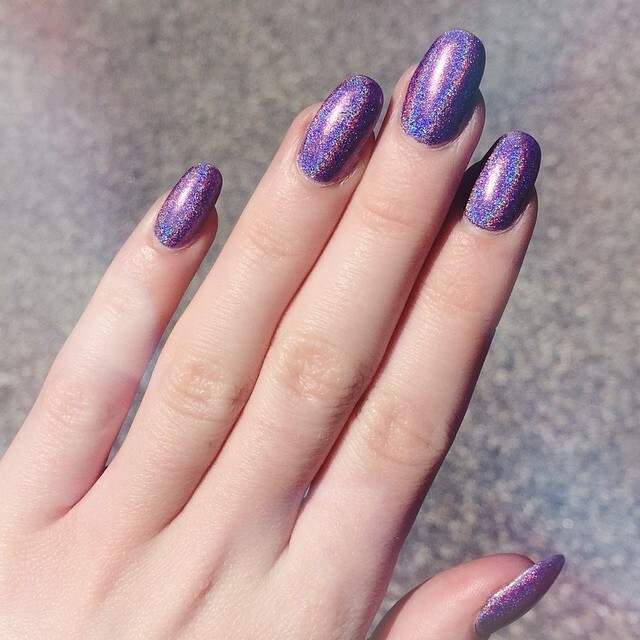 So, the search for the perfect holographic polish goes on! i love these nails! such a gorgeous colour! So cool, too much color can sometimes look cheap but this doesn't. That polish is so hypnotizing, I need it in my life also!! I'm actually upset that it was the wrong label on the bottle. This is awesome! I love it , absolute bummer that it was marked wrong. Maybe on purpose? I bet they did it on purpose so people always go back to them for this unknown amazing colour haha! Love it! Those nails are so gorgeous, i need them! Such a shame you didn't get the right name! Oh wow, that's a mighty pretty colour! Hope you find out what it is! !